Smart Roofing, Inc. installs DaVinci Roofscapes Bellaforté Slate roofing in Park Ridge and Chicago North Shore neighborhoods. 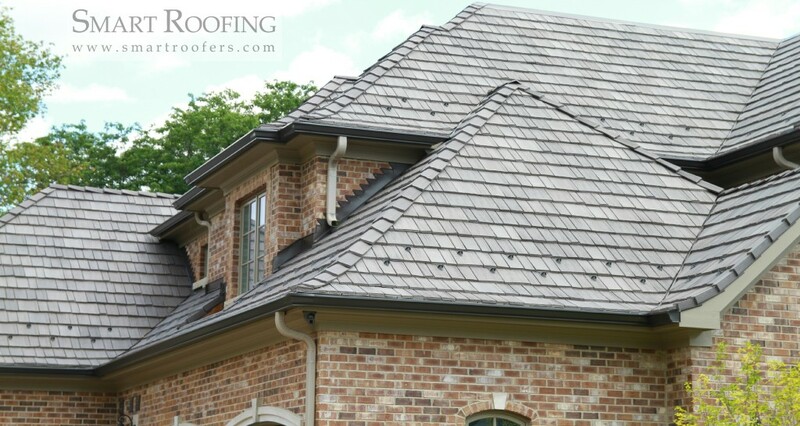 DaVinci Roofscapes is known as the most realistic and durable composite slate and shake shingles on the market. Bellaforté Slate roofing tiles are an eco-friendly way to beautify and enhance the value of your home with the look of authentic natural slate. Bellaforté Slate roofing tiles will not break like natural slate tiles, and are a non-porous material which means you won’t need to worry about the roofing tiles absorbing water (which can lead to freeze/thaw roofing damage). Smart Roofing, Inc. is a DaVinci Masterpiece Roofing Contractor who has expertise and experience successfully installing DaVinci synthetic slate and shake roofing systems. Choosing a contractor like Smart Roofing, Inc. is your assurance that you’ll be dealing with a quality, reputable, and dependable professional roofing contractor. Call us at (847) 797-0404. or email contactus@smartroofers.com.